Identify your most profitable products, find out who your best customers are, evaluate which marketing channels convert best. Get comprehensive analytics and reports on how your Magento-driven business is doing. Get a high-level idea of how your Magento store is performing. Know where your customers came from, who they are, and what they bought. 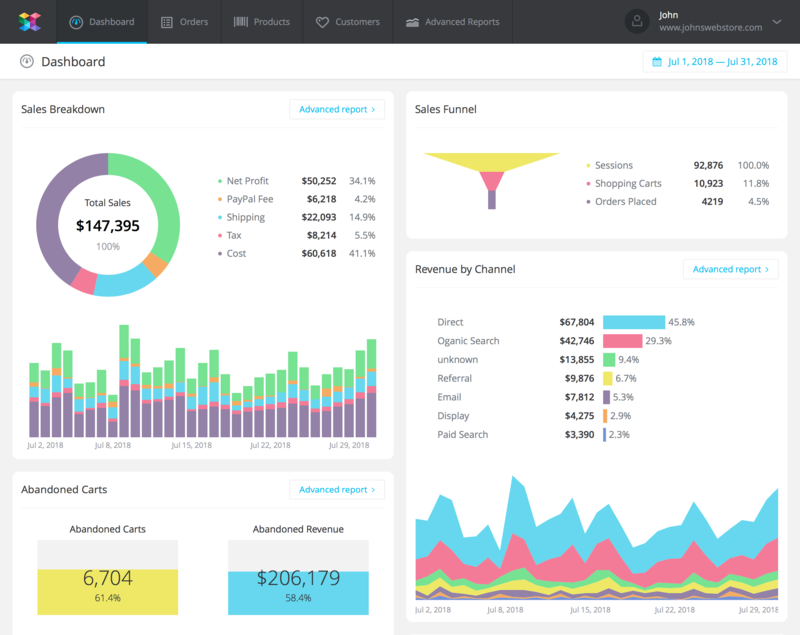 See all your most important metrics and KPIs in one place. 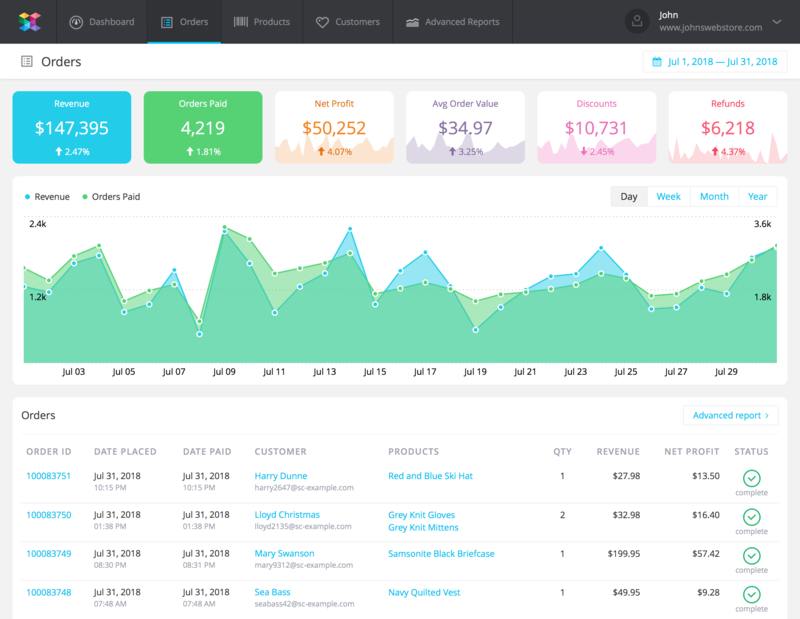 Track your revenue, net profit, refunds, discounts, profit margin, conversion rate, abandoned carts, and much more. 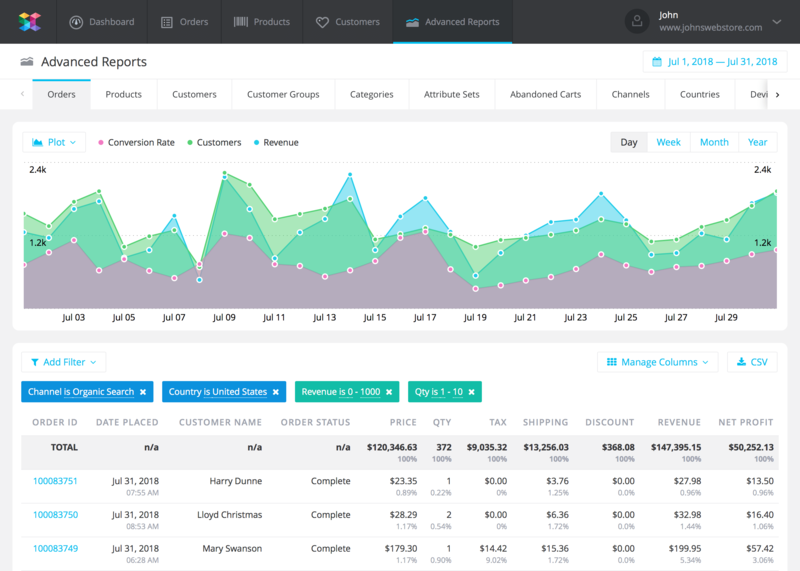 Get detailed, customizable Magento reports for your sales, products, customers, and more. Drill-down into your data and evaluate your sales and conversions across multiple dimensions. Filter your custom reports by dozens of metrics and dimensions, choose the columns for your reports from a variety of fields pulled from multiple data sources. Connect as many Magento installations and stores as you like. Analyze sales for different stores individually, as well as see combined analytics for those stores that share same currency. Connect your Google Analytics account to get deeper insights into how your visitors convert into customers. Connect PayPal to know your fees and make Net Profit calculation more precise. SavvyCube continuously pulls your data from your connected data sources, and consolidates it all in one data warehouse, allowing you to receive comprehensive analytics and insights into your business. SavvyCube was developed by MageWorx to work seamlessly with Magento 1 and Magento 2. MageWorx is a Select Magento Partner, with over eight years of experience developing solutions for Magento platform. Sign up with SavvyCube today! Copyright © 2019 SavvyCube. All rights reserved.